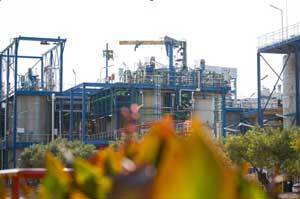 Spainish compounder Elix Polymers is investing in a new compounding line at its Tarragona site. The company’s planned investment is part of its strategic objective to become a leading manufacturer of high quality pre-coloured ABS resins and derivatives as well as tailor-made specialities used in automotive, healthcare, consumer, appliances and electronics applications. The new line will incorporate echnologies for thermoplastics compounding production, specifically for ABS and ABS blends, and will be developed in cooperation/partnership with the leading suppliers of these technologies. The line will include a twin-screw compounder, ZSK 92 Mc18 from Coperion, and an underwater pelletising system, 7EAC from Gala Kunststoff. The line, which will come into operation by Q2 2016, will provide Elix with greater flexibility to deliver a wider range of tailor-made solutions and will increase capacity on top of the current compounding line, says the company. The new investment is an important step forward in Elix´s Excellence in Operations Program, and it will improve efficiency in operations and energy resources, whilst ensuring highest safety standards. The programme is part of the company’s strategy, focusing on customers’ demands for increased flexibility in customised solutions and reduced lead times as part of its service differentiation. Over the last two years, Elix has invested in a number of assets at its facilities, to meet customers’ requirements and support expected growth. In parallel, it has improved its operations by redefining procedures and processes in line with Lean management principles. This has resulted in a more flexible plant and improvements of the scrap rate levels and reduced consumption of water and energy.